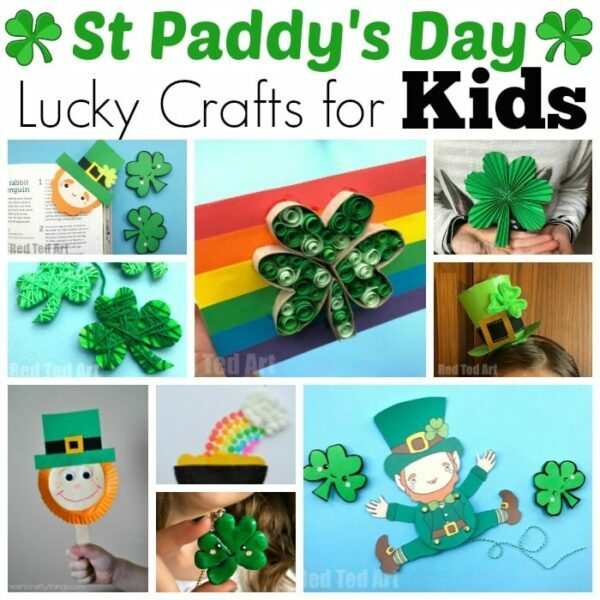 We have have a whirlwind of St Patrick’s Day Crafts for Kids here on Red Ted Art. For some reason, we haven’t paid this super fun holiday much attention over the years and it is time to rectify that! 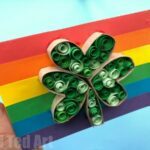 Earlier we had some GORGEOUS Paper Quilled Shamrock Cards/ Art, we have some fabulous Paper Shamrock Decorations and today.. it is all about the easy Shamrock Corner Bookmark Design for St Patrick’s Day! 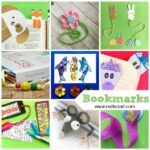 A perfect addition to our extensive collection of Corner Bookmark Designs! 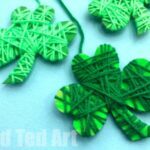 I love these little Kawaii Shamrocks – they are super quick and super easy to make.. and those little Kawaii faces make them utterly adorable (or at least I think so). 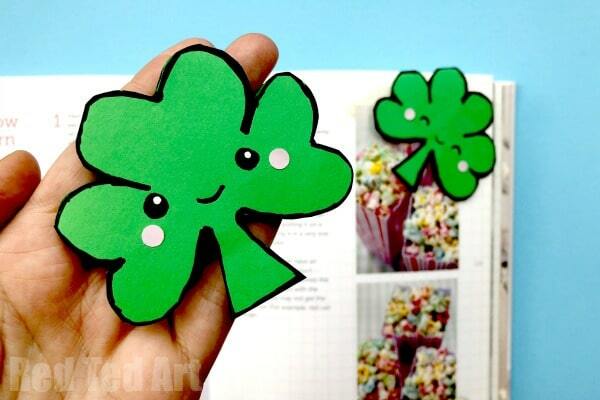 Make a whole set of Kawaii Shamrock Bookmark Corners and give them to friends and family for lots of good luck!!! 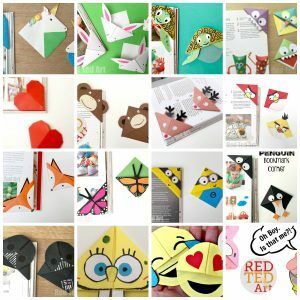 The perfect Paper Craft for kids! 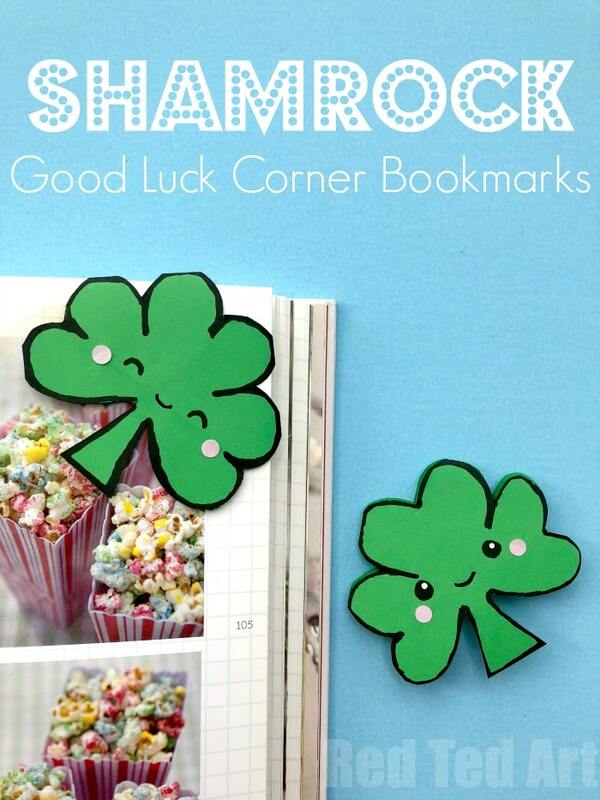 These Shamrock Bookmark Corners go OH SO WELL with our Kawaii Rainbow Bookmark Corners too! Hop over for a look!!! 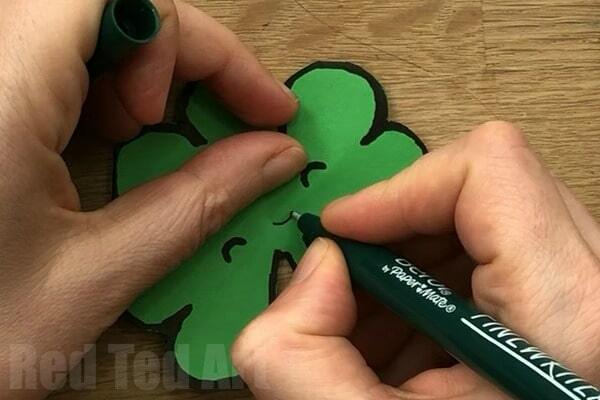 As per usual we have the obligatory Shamrock Bookmark Corner VIDEO for you.. but we also have some great step by step instructions for you to follow below!! 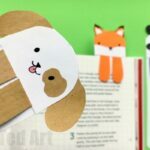 Begin by making your classic Origami Bookmark Corner (we have step by step photo instructions for you to browse at your leisure. 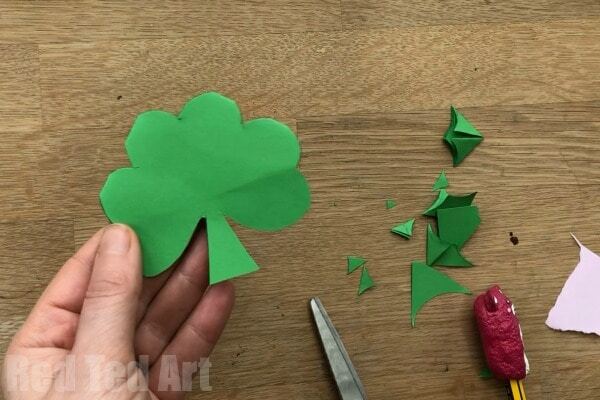 Once you have your basic GREEN Origami Bookmark, begin to sketch out a shamrock outline. 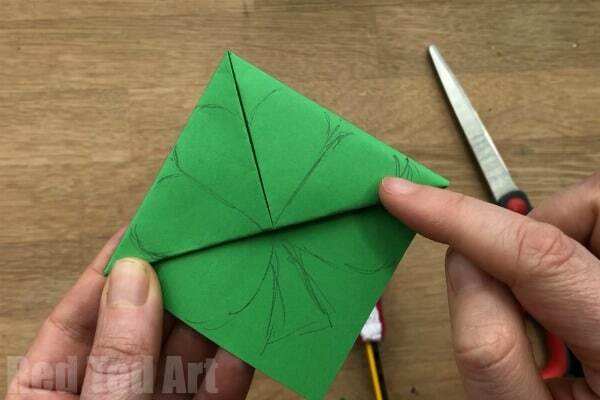 To make it easier and “even”, divide the top right and left hand triangle into two. 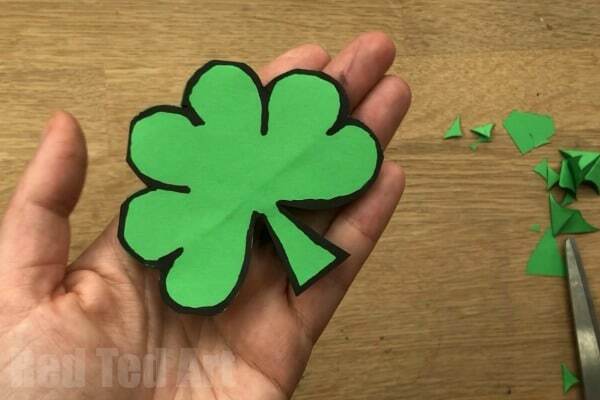 The top two segments make up the first “heart” of your shamrock. 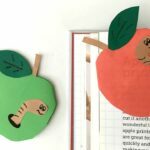 Then draw two hearts below that and a stem. 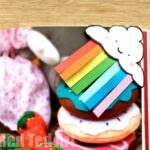 Make sure that the “edges of the heart” a flat against the edge of the bookmark corner. 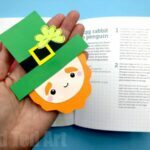 If you round them off fully the bookmark will fall apart..
Once you have cut the shamrock out (remember to leave thos flat edges), use a black pen to add outline to your shamrock to really make it “pop”. 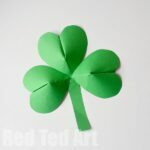 Finally, decorate with a Kawaii Shamrock face if you wish. Finished!!! Hope you find this as easy peasy as we do!! Enjoy. Looking to the season “ahead”? 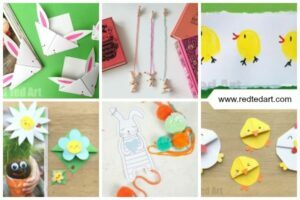 Check out our Easter Bookmark Corners too!